The Ricoh Group is always working to provide new value to stakeholders through corporate activities and to be a constructive part of solutions to issues that concern customers and society as a whole. As a group, we will strive to achieve continuous business growth and raise corporate value ever higher. Companies invest copious amounts of capital and management resources to run their businesses and generate all sorts of value. To us, at Ricoh, corporate value means responding to the various expectations of stakeholders and delivering value that extends to all stakeholders, including customers, shareholders, employees and society at large, and by raising value for each stakeholder we ultimately raise corporate value as well. To boost corporate value, we undertake activities in accordance with management strategies based on core value perceptions and structures. 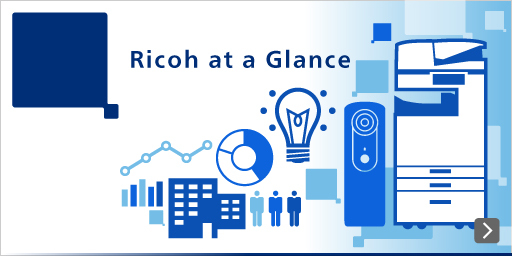 A key element in the equation is The Ricoh Way, which establishes the value perceptions that form the foundation for all we do. Corporate governance, with The Ricoh Way as a cornerstone feature, accords us the ability to ensure that business activities are being properly executed, and it underpins sound and highly transparent management practices. Then there are our value drivers—technological strengths, customer engagement, sustainable environmental management and human resources capabilities—that fuel our business growth, and we will apply these drivers in promoting activities to realize the three basic business strategies of the 19th MTP, which are to undertake structural reforms, prioritize growth businesses and reinforce management systems. 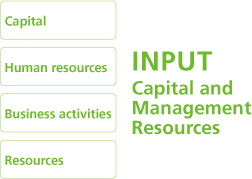 By reinvesting surplus capital and management resources derived through these efforts, we perpetuate the cycle that constantly drives corporate value higher.